Shift your mindset. Transform your future. Thank you for attending IACON17! There was a buzz in the air that validates our belief that the IA channel is thriving and OIA is positioned to help our members grow their businesses. Words cannot express how truly grateful the OIA team is that you came to IACON17 with your eyes and ears open, looking to learn and grow with each other. There was a buzz in the air that validates our belief that the IA channel is thriving and OIA is positioned to help our members grow their businesses. It is thriving because of people like you who are willing to put in the time, and the work, to make it happen. We had a packed agenda that will give you a combination of big-picture perspectives and tactical tools to implement in your agency immediately after the event. 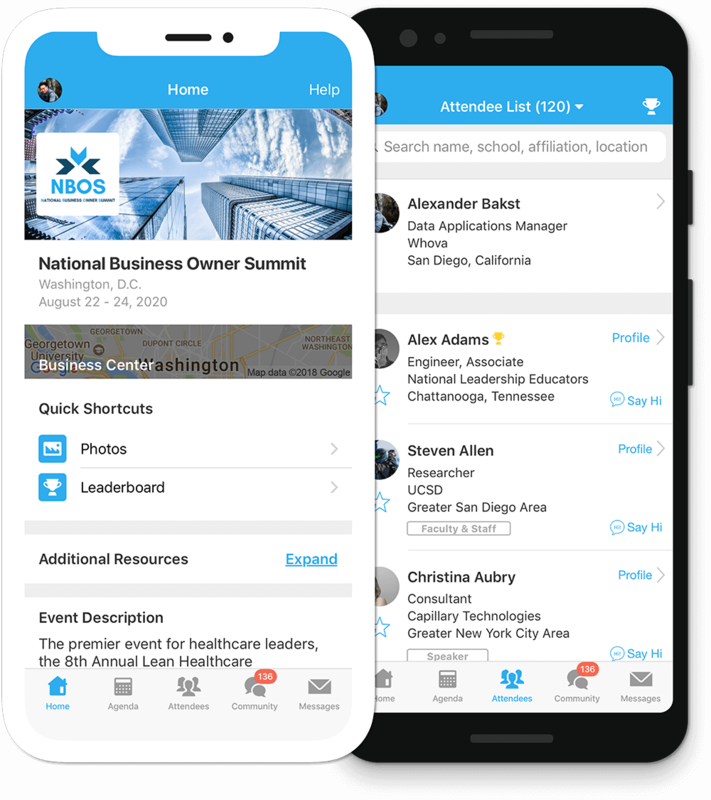 Check out the speaker presentations, wrap-up video and attendee testimonials, and continue networking after the event with the Whova app! Vote for the Agency 2025 winner! Thank you to everyone that participated in the Agency 2025 Competition! We are blown away by the response we received and the thoughtfullness of the agent presentations. Now we need your help to pick the winning team! Watch the three videos below and cast your vote using the survey! IACON17 keynote speaker Marcus Sheridan, renowned for his brand The Sales Lion, is a powerful force in digital marketing and business. In fact, Forbes named Marcus one of 20 speakers you don't want to miss the opportunity to see." His presentation will talk about the ways the buyer has changed and how you can adjust to these changes. Get to know Marcus in the video below! Learn more about Marcus' mission, vision and philosophy. Learn more about Bobby's mission, vision and philosophy. Ryan is the SVP of Marketing at TrustedChoice.com and the managing editor of Agency Nation. As head of marketing for TrustedChoice.com, Ryan is responsible for directional leadership in the brand, message and voice of the organization in its work helping independent insurance agents capture new business through inbound lead generation.He has been teaching the business of inbound and content marketing since 2009 through writing, workshops and keynote speaking. Furthermore, Hanley help brands and businesses find their audience, tell their story and win the battle for attention online. Learn more about Ryan's mission, vision and philosophy. Bryan Seely is a world famous cyber security expert, ethical hacker, author and former U.S. Marine. Seely is known for intercepting calls to the United States Secret Service and FBI by hacking Google Maps in early 2014, but rather than spending time in prison he was called a hero and moved on to bigger and better things. A few months later, he found an exploit in LinkedIn and helped the company resolve it.Seely has helped reveal a massive number of data breaches at several hundred major institutions which prevented the theft/loss of substantial amounts of money and information. He leads the security consulting, education and implementation division at Seely Security and sits on the MGT Capital Investments Hacker Advisory Board. Check out Bryan's LinkedIn profile. Claudia St. John is an author and HR professional with 20+ years' experience in human resources. Prior to forming Affinity HR Group, Claudia served as senior consultant for Mercer Human Resources Consulting, the nation’s top HR consulting firm, Vice President for People for POMCO Group, Manager of the Blue Cross Blue Shield Association’s National Labor Office and Senior Policy Associate for the AFL-CIO.She is also an author of Transforming Teams - Tips for Improving Collaboration and Building Trust and a popular public speaker. Her professional passion is in teaching teams about behavioral styles, conflict resolution, and collaboration. Learn more about Claudia's mission, vision and philosophy. Learn more about Kelly's mission, vision and philosophy. John Ammendola oversees the future development and growth of Grange’s business. He joined Grange in 2010 as president of personal lines and later assumed additional responsibility for the commercial lines business as chief property & casualty officer. With more than 20 years of insurance experience, he previously held a variety of leadership positions with Kemper Insurance, Safeco Insurance and GEICO. Mike was named State Auto's President and CEO in May 2015. He has extensive experience in the property and casualty insurance industry, including roles at Progressive, GEICO, Safeco and Fireman’s Fund. In 2011, he began a startup effort that became AssureStart, a company that sells small business insurance online. Mike shares State Auto's deep and longstanding commitment to the independent agency system and is committed to upgrading State Auto's technology and becoming a faster and more innovative product provider. As a senior marketing representative for UFG Insurance, Jon Wade brings years of experience and expertise to UFG’s independent agency force in Ohio. Having owned his own agency and various positions with insurance carriers, including commercial lines underwriter and marketing manager/regional president, Jon understands his territory and the needs of his agents. He graduated from Bowling Green State University, with a Bachelor of Science in Business Administration degree and insurance major. To make your experience even better, IACON17 has a free, official app - Whova! Check out our videos of the IACON17 speakers' presentations!